Mid evening busy with many folk eating hearty looking meals, we sat at a table in the right hand corner. Great atmosphere with the hubbub of converstion encouraged by the lack of loud music prevalent in far too many pubs these days. Eagle (was Wells & Young's, was Charles Wells, was Wells) - Young's Special 4.50 Barely mimics the halcyon days of this beer. Walking by mid evening so had to try it for old time's sake. Many of the same loyal customers after all these years but now the minority in a sea of younger drinkers of a seemingly gentrified persuasion. 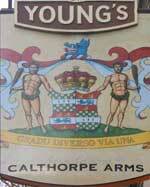 What a day it will be when Young's pubs finally ditch Young's beers. Seeing the long standing Guv Adrian reminded me of the days of second to none Wandsworth Young's sold here. Afternoon visit and just a couple of other customers. A mostly local crowd in on Friday mid-evening, with tables reserved for a birthday party. Substantial and good-value evening meals available – I had an enormous lasagne and chips. Eagle (was Wells & Young's, was Charles Wells, was Wells) - Young's London Porter 4.20 Black, smooth and coffee-tasting. The smoothest and mellowest example of this beer I’ve tried so far. Eagle (was Wells & Young's, was Charles Wells, was Wells) - Young's Special 4.50 Brown, bitter, creamy, slightly toffee, best bitter. The pub is found in Bloomsbury, Central London, WC1X 8JR. 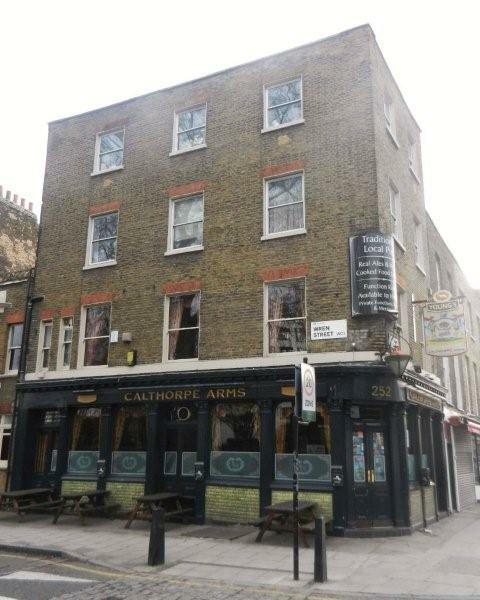 The Calthorpe Arms is a small-ish, street-corner pub on Gray's Inn Road, in the primarily residential area between the City and King's Cross. It is regarded as something of a showplace pub for the former Young’s Brewery beers, now brewed by Charles Wells in Bedford. Long bar on the right hand side and there is an upstairs room. 6 handpumps in 2 banks, each of 3. We have visited this pub 4 times, seen 9 different beers and tried 4 of them.